Increasing population age has become a fact for most of the countries world over. The number of people aged 65 and above is estimated to increase by 65% in the next 25 years, with doubling of the number of people aged greater than 85 years. Ageing restricts many physical and cognitive abilities of the elderly. This demands greater attention towards healthcare of this section of the population. 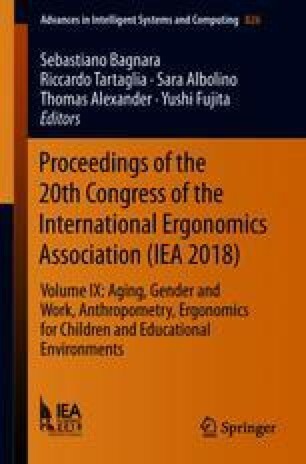 This study attempts to come up with ways to make best use of the space around the elderly patients especially in the bedroom area and various elements in it for better handling, more so if the persons are disabled or dependent for ambulation on others (caregivers and nurses). The course of this study started with investigation of points of bodily pain of caregivers and nurses while handling the elderly patients in constrained or non-customized spaces. This was accomplished using a Standard Nordic Questionnaire, validated by Kuroinka, to measure the prevalence of Musculoskeletal Disorder (MSD) in caregivers at homes and nurses in hospitals. Further, assistance of a professional physiotherapist was sought to understand standard procedures of handling patients who are dependent on others for ambulation. Hierarchical Task Analysis (HTA) and REBA were carried out next, which used videography and photography of these procedures as a tool to evaluate postural stress during the procedures. Furthermore, Anthropometric Data Analysis was performed to decide the optimized space for the patient handling and transfer task. For all the calculations, Indian Anthropometric data was considered. Local hospitals of Jabalpur, India served as settings for this study. According to that, space requirement for the individual activities have been identified and derived for future design of bedrooms free space.